Nintendo global president Satoru Iwata isn't afraid to make hard decisions, having recently scuttled a new piece of Nintendo hardware that might never see the light of day, never to put smiles on faces. According to a report from CNBC, Iwata says that Nintendo had another handheld gaming system in the works as recently as three years ago. What that platform would have been, which market it would have targeted and what kinds of games it would play, Iwata didn't say. What he did say, or at least indicate, was that platform that would coexist with the Nintendo DS and Wii wouldn't do much for the company's "momentum." 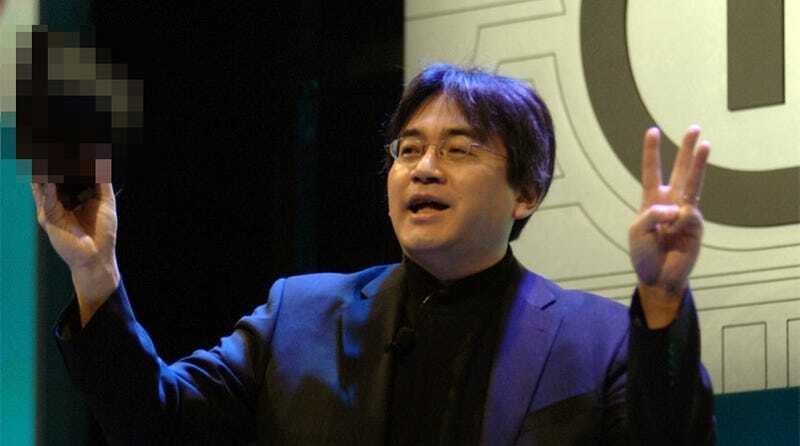 "But when we are launching new hardware, the most important is thing is to sustain the momentum," Iwata said. "If introducing new hardware won't do anything to do that, well…" Well, what?! Could it have been the ill-conceived dual-DS card version of the Nintendo DS? Or could it have been something more interesting, another entry in the Game Boy family? Only Iwata knows!